​and husband Bill on perfect early summer evening on Monday, June 18. We thank all those who helped make this party such a success. volunteered time to check in guests, man the membership table, set up & last but not least, clean up. We couldn't do this without the help of our wonderful members! 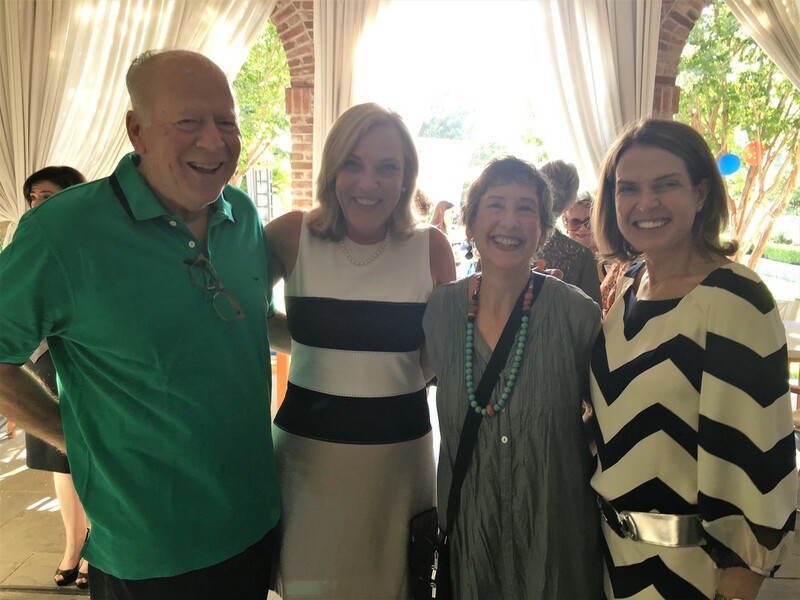 WISPPA held it's annual cocktail party at the home of WISPPA Founder Mary Urquhart and husband Bill on June 19, 2017. Our fabulous keynote speaker was Los Angeles Supervisor Kathryn Barger . ​ A special thank you to Mary Uquhart, Ellen Daigle, and Bianca Richards and to all the members who contributed flowers, food & drinks and helped set & clean up. We couldn't do it without all of you! Bill Urquhart, Supervisor Barger, Bianca Richards, & Mary Urquhart. WISPPA, NWPS, YWCA and the AAUW co-sponsored the showing of this documentary to commemorate Women's Equality Day on August 26th, the anniversary date of the passage of the 19th Amendment granting women the right to vote. The film was produced by Pasadena resident Ann Hassett documenting the first ERA convention in Houston in 1977. It's narrated by Jean Stapleton and includes interviews with many of the early feminists such as Bella Abzug, Roslyn Carter, Shirley Chisholm, and more. 2016 WISPPA COCKTAIL PARTY - "SHAKE IT UP"
WISPPA held it's annual cocktail party at the home of WISPPA President Janet Braun on June 20, 2016. Our keynote speaker was world famous Dr. Lucy Jones, Seismologist. Sue Kaplan was honored as the 2016 WISPPA Outstanding Woman of the Year. ​In spite of the 108 degree weather, over 100 WISPPA members, guests and community leaders enjoyed the food, drinks, and the excellent, interesting speech by Dr. Jones. As one attendee said, " the sweltering heat seemed to be absorbed by the foliage and lush greenery of Janet's yard". Another said that Dr. Lucy Jones "was so fascinating, it made us completely forget about the heat". WISPPA is once again very grateful to Janet Braun and family for their wonderful hospitality. ​Sue has volunteered countless hours to make this program a reality in our city. Enjoy the slideshows of the event below! Our keynote speaker was Dr. Laura Skandera Trombley, the new president of the Huntington Library, Art Collections, and Botanical Gardens. 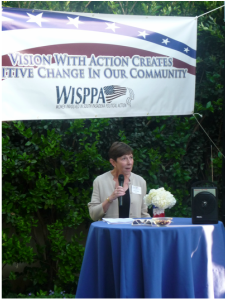 Over 130 WISPPA members, guests, and community leaders attended the cocktail party at the home of Janet Braun. Clara Richards was honored as Outstanding South Pasadena Woman of the Year. Clara, a mother of nine children, became the sole owner of the first retail business on Mission Street, Family Fair, which became an institution in South Pasadena. WISPPA is very grateful to Janet Braun and family for their wonderful hospitality. 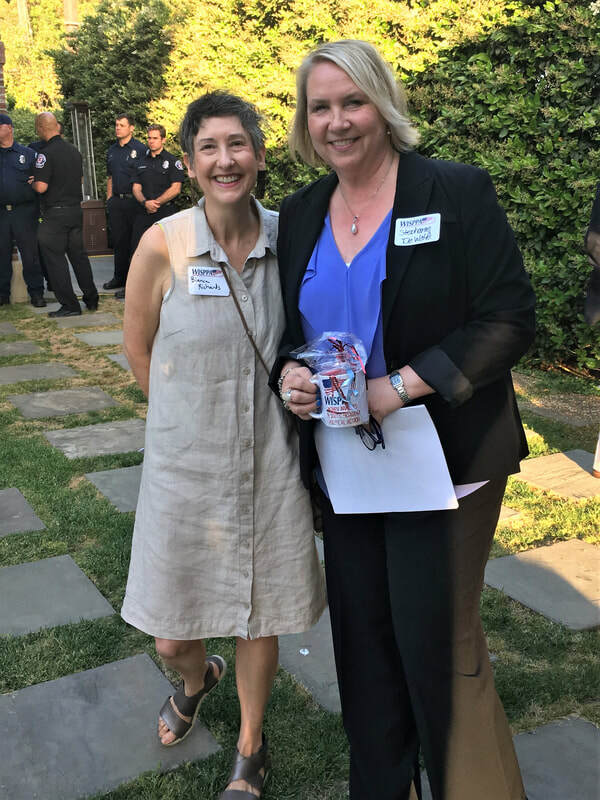 Our guest Speaker, Cynthia J. Kurtz, President and Chief Executive officer of the San Gabriel Valley Economic Partnership, spoke about identifying the challenges we face for appropriate economic development here in South Pasadena and economic issues concerning women today. Over 100 WISPPA members, guests, and community leaders attended the cocktail party at the home of Bill and Mary Urquhart. WISPPA is very grateful to the Urquharts once again for their graciousness and help. Click here to see the South Pasadena Economic Profile that was the basis for Cynthia Kurtz's talk. We were honored to have Rep. Judy Chu (D) as our guest speaker﻿.